Liberals love democracy. They worship it. It’s so…equalizing. (That’s why they also love communism). So it was interesting for me to learn that a noted liberal, the late rock singer Lowell George, regretted running his band Little Feat democratically. Funny! Too late George learned that democracy – like communism – leads to mediocrity. The less-talented rise and the more-talented fall. Democracy has always been a sham. The reason that the jews are always promoting it is that so called democracy is a smokescreen for jew control over the economy. Any future White nation must be based on the Leader Principle. Only the strongest, bravest, and most intelligent White men should be in charge. .
Yeah right democracy is bad; the only trouble is the alternatives are even worse. The problem with Jim’s suggestion, even were it to be accepted, is that there would be no consensus on who is the strongest, bravest etc White men! It’s the old problem of ‘quis custodiet ipsos custodes’? The Fuhrer Prinzip could be established using democracy as a front (which is perhaps all it is anyway), as in Nazi Germany, but once established what’s to stop it from turning, in turn, into tyranny? I agree, Joe90. You will always have problems when you concentrate too much power in one man. Hitler made this mistake by taking charge of the strategic plans on the Eastern front. You can also see how one man’s foibles and mistakes can lead a country to ruin or decline throughout history. When talking about a White racial state, perhaps we should look to a racial Oligarchy or grand council. The Fuhrer Prinzip is of course, not perfect. We are all imperfect beings living in an imperfect world. Joe 90 is right that there is always the possible of an Authoritarian government turning into a tyranny. Even if we had a all White country where all the kikes had gone to Madagascar, democracy would still be a bad deal. It is a law of Nature that the Higher must rule the lower and that the Strong must rule the weak. The jew inverts Natures Law by placing the inferior on top (democracy) while he cunningly runs the whole show. If anybody has any better idea than the Fuhrer Prinzip, lets hear it. The Jewish front-man for KISS, Gene Simmons, says the reason his band has survived and been sucessful for so long is because it is not run as a democracy. Yet the Jews are forever chirping about the sweet joys of democracy for White nations! Exactly. Democracy means rule by the mediocre, the average who compose the majority. The natural aristocracy will always be outvoted in a democracy. Right now, we have a system that attracts the absolute worst people imaginable to “public service”. Bill and Hillary Clinton, the Bushes, Juan McCain, Lindsey Graham, Charles Rangel….all parasitic criminals and scum, undeserving assholes who’ve never done an honest day’s work in their entire lives. I don’t know what kind of government would work best in a future, theoretical all-White State, but it’s clear that a multiparty “representational” form of government would be tantamount to allowing the Jews rule over us all over again. but it’s clear that a multiparty “representational” form of government would be tantamount to allowing the Jews TO rule over us all over again. I did mention it Jim, a racial oligarchy. I, theoretically, like the principle of democracy. As Joe 90 says, the alternative could be even worse. But, as it stands now, when the masses control the government, who controls the masses? Obviously, the media. This situation could not have come about before the age of mass newspapers, television, radio. Democracy and the modern era were MADE for Jewish control. It’s far from what it started out to be in the days of Washington and Jefferson. As Tim says, “Right now, we have a system that attracts the absolute worst people imaginable to “public service”… all criminals and scum.” What are we to do to remove these Jewish-paid leeches from our backs? The original idea was that white men would rule. Niggers couldn’t vote and had no say. The jew manipulated everything with his verses of melting pot, nation of immigrants and so on. We have a nation of niggers, mexcremet, gooks and jews all having a say in white mans destiny, this is wrong beyond words. Blackshirt, the idea of racial oligarchy sounds good. Could you please define the concept further?. Well, oligarchy means rule by a few. A racial oligarchy could be made up of a small group of very wise White men who may be elected or appointed to their positions. Oligarchies can work as long as one of the members doesn’t become too power hungry and desires to rule alone. Some of the military “juntas” of Central and South America during the 1970s would qualify as examples. I like to think a good example would be the Fascist Grand Council of Italy during Mussolini’s time, except instead of having a “Duce”, the Grand Council would do the actual ruling of the state. I once told Alex that I’m a fan of the junta concept (i.e., a few men ruling as a governing body). Those men would make all the rules within a White country. No voting, no democracy, no free press. Granted, the men would have to be high-quality men, the best and brightest. The plan that Hitler came up with for the invasion of Russia was actually pretty good. Unfortunately, or maybe not depending on how one see’s it, Hitler was struck down with dysentery in the later stages of Barbarossa. At this point, his generals stepped in an implemented their own plan which concentrated on the capture of Moscow, the most obvious objective, rather than Hitler’s which was more of a sweeping, three pronged attack which envisioned army groups North and South sweeping behind Moscow and capturing it. Hitler did not consider Moscow a particularly valuable strategic objective. He was more concerned with the oil producing and industrial areas of the Soviet Union. Sorry if I’m off topic here. Democracy, at least the way it appears today, does appear to be quite a sham. I have an intense dislike for both parties. As long as it doesn’t fall under the control of the Jews (which they would make every effort under the sun to do). Bribing, blackmail, assassination, you name it. A racial oligarchy made up of a small group of very wise White men would have the advantage of providing a greater diversity of opinion and intellect, however, only a strong Leader can provide a decisive answer. The Fascist Grand Council during Mussolini’s time may have displayed great wisdom, but there was still the need for Il Duce to make the final decision. 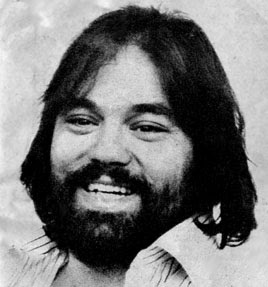 Lowell George was a genius. He is still my idol though he died 31 years ago. Yes, I know he was a liberal and multiculturalist. Many of his songs were about drugrunning from Mexico (Willin’) and Mexican hookers (Spanish Moon) and other such topics. I still like him. I was a leftist myself until only 10 years ago. I sing it in London. Lowell George is your idol? He died at 34 in a hotel room of a drug overdose! This is someone you admire??? Seems to me you need to find some new idols to look up to! Here’s his picture. Is this character even white? He looks like a cross between a Mexican and an Eskimo. And what does this guy have to do with this thread (on democracy) anyway??? Maybe we should install the surving members of Little Feat as our Rulers? How about The Flying Burrito Brothers? Or Foghat? Anyway, at the risk of being a Debbie Downer, who would be on this Wise Council of Racial Oligarchs? Bill Gates? Steven Hawking? Steve Jobs? Warren Buffet? Donald Trump? What would their qualifications have to be? Rich? Handsome? Well educated? Famous? Blue eyes and a full head of blond hair? I don’t think I could trust a group like that to make the right decisions. A pro-White military dictatorship is probably the best way to go. The goal should be to keep any future pro-White Government as small, ruthless, efficient and accountable as possible. I don’t think the racial oligarchy is a perfect idea, I just think it is the best of what we could have. It would be safer to have power distributed within this small group than to have it concentrated in one man. And of course, a RACIAL oligarchy wouldn’t include the people you listed, except perhaps Steven Hawking (that would be interesting!). Same concerns could be said of the qualifications for a “Führer”. The “Führer principle” that so many here are enthusiastic about was developed by Hitler, so of course he promoted it. Ultimately that didn’t work out for him, and it won’t work for us again, either. Perhaps it could be said that what we desperately NEED is a free press … (which we DON’T have now). There we have the Orwellian terminology again: war is peace, degeneration is progress, up is down, and “free press” [or free anything] means under Jewish control. The age of the Great Leader is over with. It’s an anachronism, like having Czars or Holy Roman Emperors. We need a 21st Century style of White government, one that is modern, socialist, protectionist and does not attack, colonize, exploit or enslave any other country or its people. We need a system that respects all of its White citizens, be they rich or poor, makes sure every White citizen has access to decent medical, legal, welfare and educational services regardless of ability to pay, minds its own business internationally and shows no mercy towards anyone who tries to outsource jobs, wage imperialist wars, screw over White employees or who advocates bringing the Muds back in for any reason. We need a country that is for Whites ONLY, without being cruel or chauvinistic about it. Is all of that too much to ask for? I think not. I remember a Dr. William Pierce broadcast titled “Hardheaded Altruism” in which Dr. Pierce expressed his admiration for General Augusto Pinochet. Years ago I read a very interesting article (which I can not find now) about Pinochet where the actor described the possible life in America if Bush Jr had been like Pinochet. Aside from the Islamic aspect, what’s wrong with Iran’s form of government? Something like that could be workable and is in fact similar to some of the things discussed here. Neptune, Gen. Pinochet, in spite of establishing an authoritarian state on the ruins of the masonic marxist regime of Allende, was still a globalist, CIA asset. He was no Nationalist, but firmly in the Milton Friedman “Chicago Boys” camp and opened Chile’s ecomomy for exploitation by the multinationals. Between the two of them, Pinochet was probably the worst. Chile would have been better off with Salvador Allende. But Washington, always on the lookout to crush and destroy any signs of freedom appearing anywhere around the globe, had the guy bumped off. I’ll bet Henry Kissinger had a lot to do with that asassination. In fact I’m pretty sure he did. Too bad he was allowed to escape from Germany. This is what the Nazis were dealing with, and trying to get under control. But the evil genie got out of the bottle, and escaped. The ultimate outcome, will be a leader(s) that chooses to lead us, which means are we worthy of the great Man? Carl Jung said, that everything was the man, and not the method, the wrong man working with the right methods, will move things in the wrong direction. Jim, Tim and Ein: Pinochet showed the way how to stop communism. Salvador Allende was a communist, a pal of Fidel Castro. Salvador Allende admired the jew Karl Marx. I agree that Pinochet was a capitalist and that the Nixon administration had a lot to do with Pinochet’s coup. I have researched the topic for years. Communist jews hated Pinochet a lot. You mention Kissinger, remember that jews play the right and the left according to their convenience. I have read positive articles about Pinochet in White nationalist pages, I am sad I can not find the one I mentioned in my previous post. I remember pretty well how Dr. William Pierce expressed empathy for Pinochet. If we have problems with capitalism, it does not mean that we should feel sympathy for communism. Both are 2 sides of the same coin. Both are/were controlled by jews. By the way, I am the most anti-communist person I have ever met in real life.